The head of Canada’s largest private-sector union said there’s been “no progress” in NAFTA trade talks and that he expects the U.S., Mexico and Canada will eventually walk away from the table. 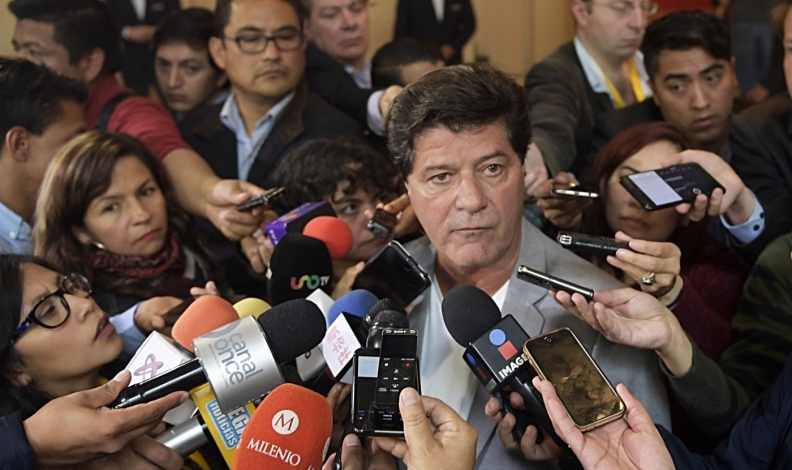 The United States hasn’t presented detailed written proposals with the third round of talks underway in Ottawa, Unifor President Jerry Dias said Sunday, speaking to reporters in the government building where talks are being held. Dias isn’t in the closed-door negotiations but is among union leaders working closely with Canadian Prime Minister Justin Trudeau as he presses for Nafta reforms on labor. Dias spoke on the second of five days during the third round of talks. Key subjects such as labour and rules of origin, which govern how much of a product must be made within NAFTA countries to benefit from the pact, are set for negotiation on Tuesday and Wednesday. Under the current terms of NAFTA, at least 62.5 per cent of a vehicle's content must be made in North America to qualify for duty-free access between the United States, Canada and Mexico. The U.S. wants to tweak that number but has not yet revealed its rules of origin targets. Some auto industry lobbyists and executives expect the Trump administration to seek a regional automotive content requirement of 70 per cent or more, and a U.S.-specific content requirement of at least 35 per cent. The thinking is that if the content requirement is raised, it could lead to more auto investment, and jobs, in North America. A spokeswoman for U.S. Trade Representative Robert Lighthizer didn’t immediately respond to a request for comment. The Canadian government is getting kudos from unions for proposing that both Mexico and the United States commit to improved labour standards in a rewritten North American free trade agreement. Christopher Monette, public affairs director for Teamsters Canada, says it's not helpful to focus strictly on Mexico, where low wages have resulted in an exodus of manufacturing jobs from Canada and the U.S. He says there's also been an exodus of Canadian jobs to American states that have right to work laws which assert a worker's right to refuse to join a union or pay dues while still receiving the same benefits of unionization as dues-paying workers. Canada is pushing for an end to such laws, in effect in 28 states, and which labour representatives maintain are a union-busting tactic aimed at starving them of cash. Dias said the Canadian government is holding "very, very strong" on its proposal for improved labour standards by both its NAFTA partners. He said the Americans have so far shown no interest in bettering their own labour standards or in providing details of demands in a host of other contentious areas _ leading him to believe that President Donald Trump has no intention of trying to reach a deal by the end of the year. Boomberg and the Canadian Press contributed to this report.